"Book+App" is a framework that allows content publishers to easily add App excitement and animation to their existing texts to increase their value, or create entirely new projects from scratch. 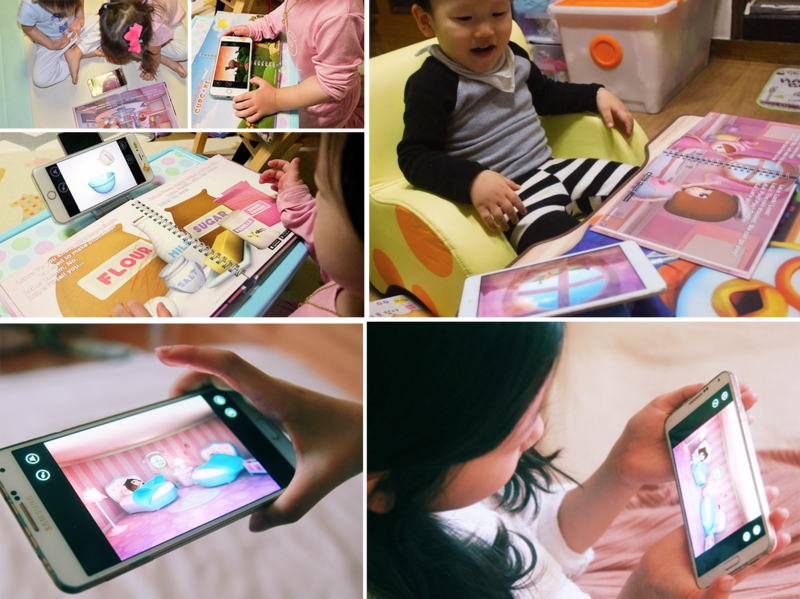 "LuLuLaLa" is a unique interactive storytelling "Book+App" designed for children of all ages, it has been designed so that parents can read to their children by recording their own voices in the application. 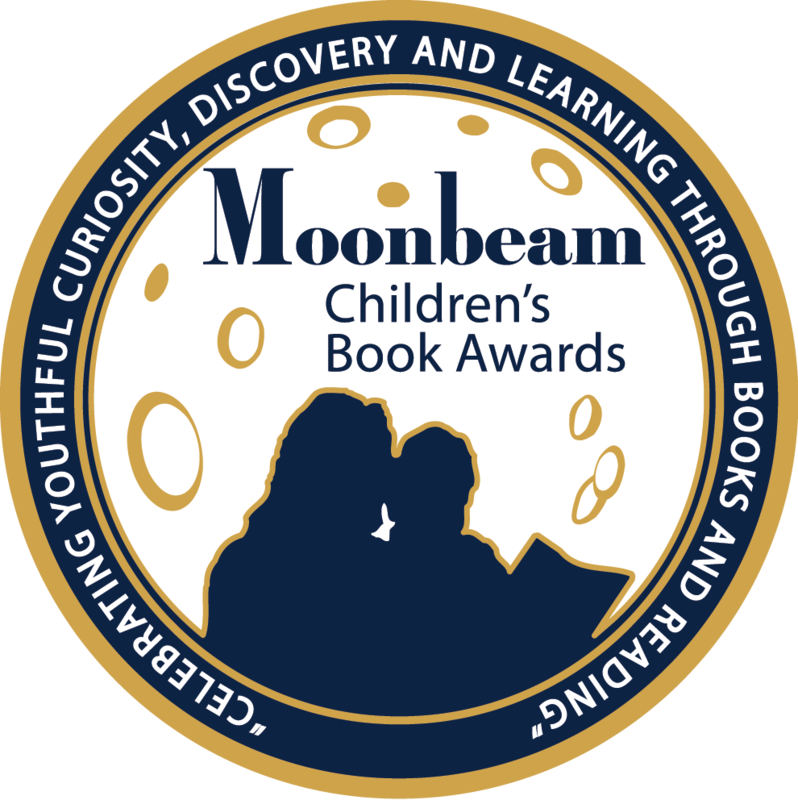 Children will learn while increasing their concentration skills by using the smart device to scan each page and by watching the embedded 3D animations. 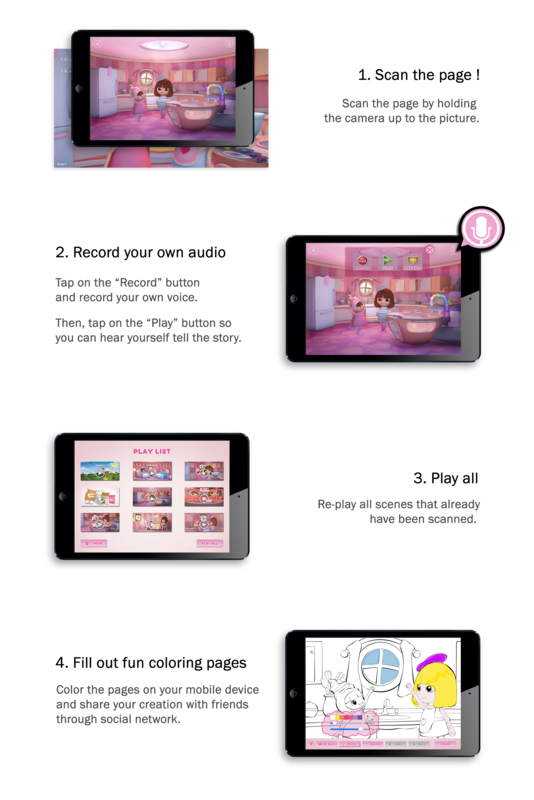 The moment you scan each page, you can enjoy cute and exciting animations. Simply download the LuLuLaLa app to your mobile device and try scanning the pages of the book. Enjoy the wonderful story and its beautiful 3D animations. 1. 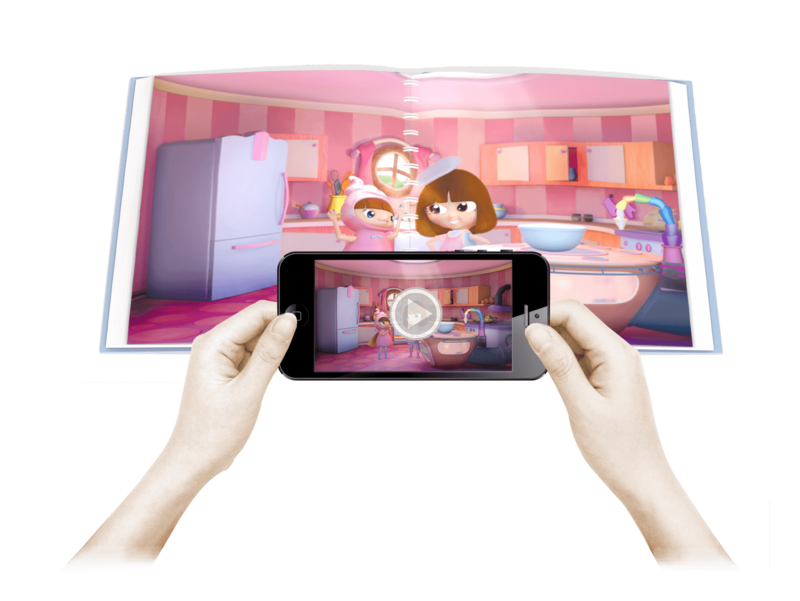 Distracted children will learn while increasing their concentration skills by using the smart device to scan each page and by watching the embedded 3D animation. 2. Consists of educational content such as cupcake ingredients, the preparation process, oven instructions, cleaning up (dish washing), etc. that will prepare children by providing prior knowledge of organization for the real experience of making cupcakes. 3. Based on a research report, it has been designed so that parents can read to their children by recording their voice in the application. It’s a delightful story of LuLu and LaLa making cupcakes! Enjoy this wonderful adventure in full 3D animation. 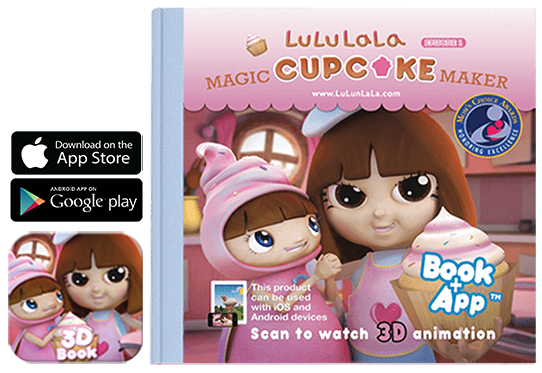 Watch and learn as LuLu prepares ingredients and, using her magic cupcake maker, bakes cupcakes for her younger sister LaLa. 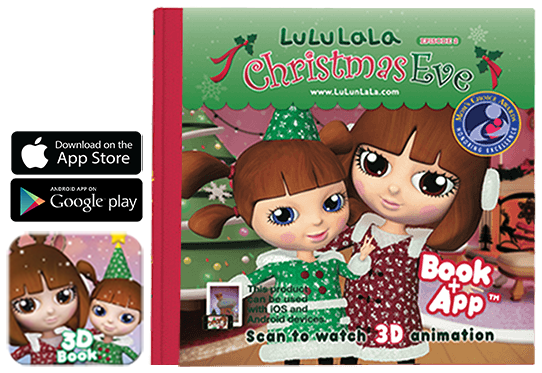 LuLu and LaLa get ready for Christmas while waiting for Santa Claus. To prepare, they decorate their Christmas tree, write a Christmas list, and hang stockings above their chimney in hopes of receiving a Christmas present from Santa. Will Santa bring Lulu and Lala a present? 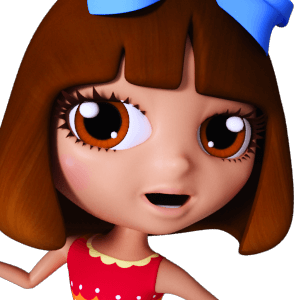 LuLu&LaLa™ is a registered trademark of Victoria Productions Inc.